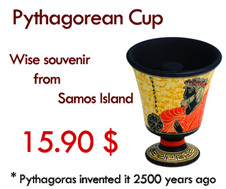 Pythagorean cup, also known as the Pythagorean Glass, Fair Cup and Pythagoras Cup. 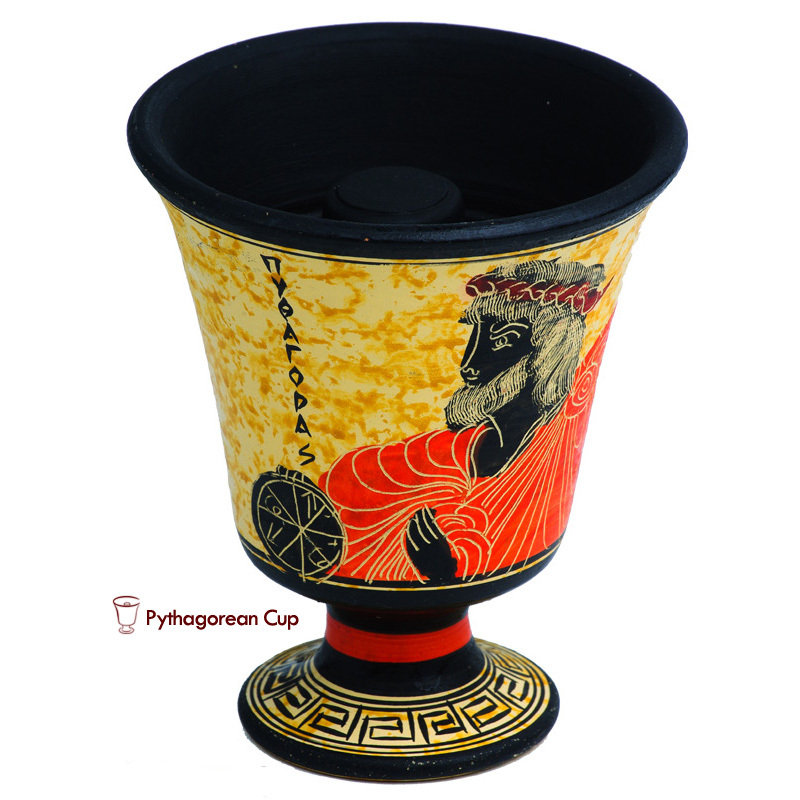 The Pythagorean cup is a form of drinking cup, which is a deep sense of control measures of a drink. 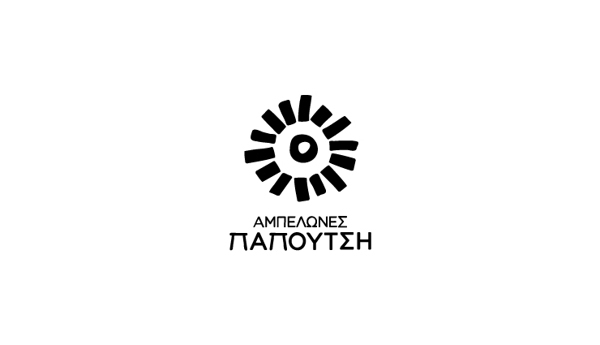 Tradition says Pythagoras, during water supply works in the island of Samos, around 530 b.C. moderated the workers’ wine drinking by the inventing the “fare cup”. When the wine surpasses the line, the cup totally empties, so the greedy one is punished. Premium product quality and impeccable service. 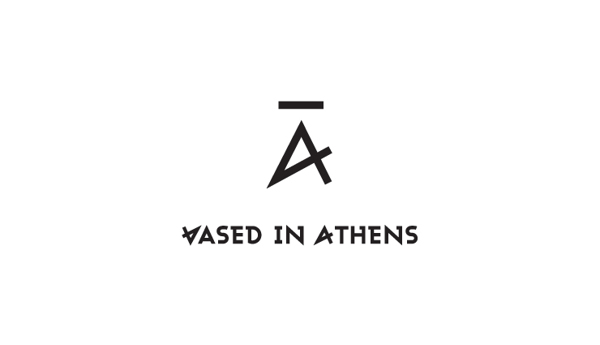 These are two of the most important aspects that a corporate identity should display at first glance. 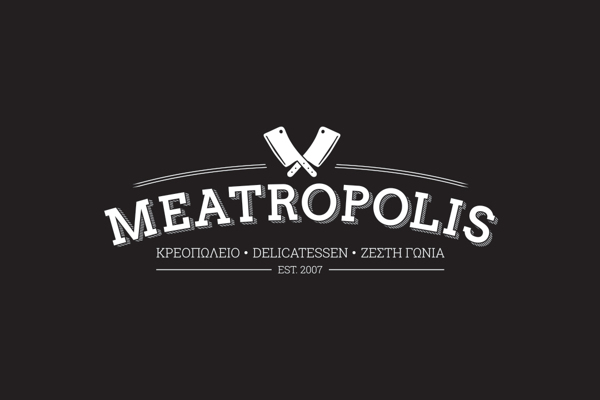 With the branding and graphic design efforts of Andronikos Deligianis for MEATROPOLIS, those two are clearly achieved. “Aggelon Gi”, in Greek, means “Angels’ Land”. It also happens to be the name of the Winery Estate that has just recently launched a series of premium wines. When it comes to ‘pure’ products, it is best to stick to packaging and branding design that stick close to that theme. Pure. Simple. Straightforward. You don’t want anything fancy to take away from the highlight, which is the product itself. 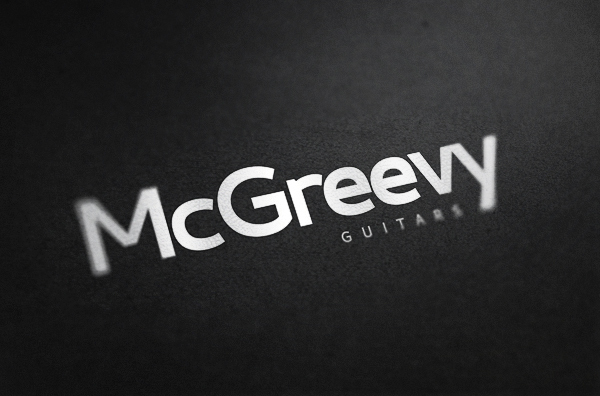 Brand name against dark textured paper. Music is an enduring art form, so it is only fitting that the instruments used to weave such magical art be represented by a representation that will also be enduring. 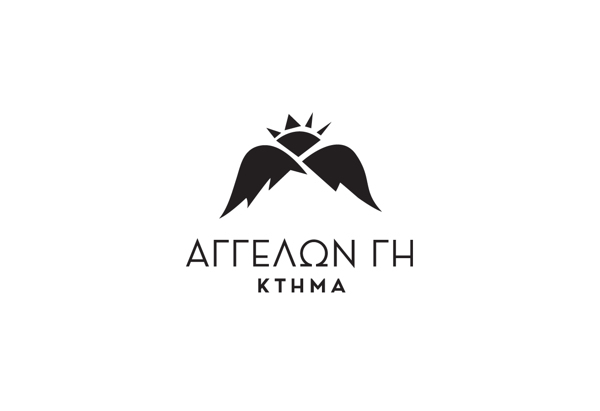 Those who are looking for selected natural Greek products may have heard of the brand “Formina”. 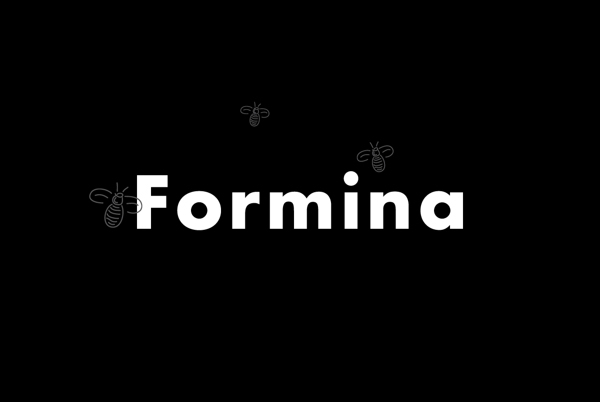 Formina, a marketplace for these premium products, is now coming out with the first of a series of products, and what follows is the branding and packaging of said products. The Saima Vodka series, in black. 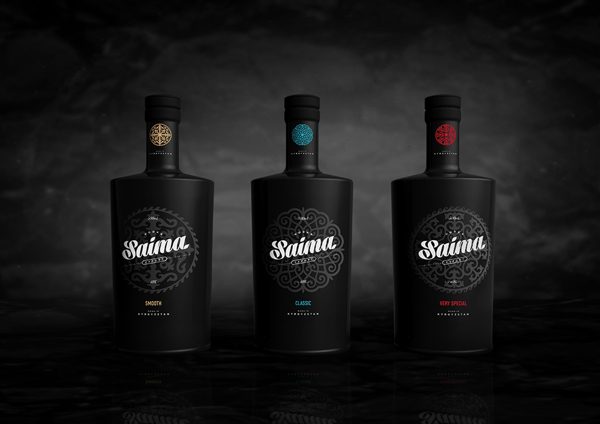 Saima’s Vodka series is taking on a black concept, evoking its lofty status among its peers. 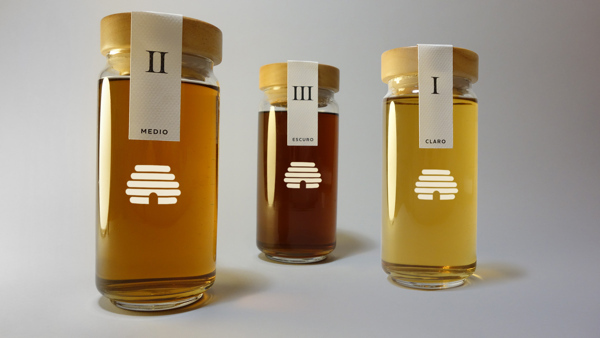 Check out the new branding, graphic design and packaging in a collaboration by Roman Kirichenko and Anna Zima. Boofos.com is an informative illustrated online magazine , also a closed community. Boofos.com, offers you only the most interesting and vivid world of auto-moto, creative designs and graphics, the newest in the sphere of the technology, a luxury of a new lifestyle and famous places with abundant history to visit. The fact that you appreciate the beauty and want to keep in touch with major world events will make you a regular reader of Boofos.com, if you are not already one!